SantaSCents fragrances are made with the highest quality and purest concentrated extracts available from the aromatic parts of herbs, flowers, trees, grains, spices and powders. They are blended together to compliment each other. They are natural substances that have the ability to positively influence the mind and body; affecting mood, emotion and physical well being. We hope you enjoy these fragrances as much as we have enjoyed creating them. They are concentrated mixes to create long lasting effects. All of our fragrances are made with several 100% Pure Natural Essential Oils blended together with love since 2006 when we first introduced our products at one the largest Santa gatherings – The Discover Santa Convention in Branson, MO. We just celebrated our 10th Anniversary at Discover Santa 2016 in Branson, MO and rolled out a new product line to include Beard Elixir and Beard Balm. These products are packed full of nutrients needed to nourish and keep your beards in the best possible condition. We also added lip balms which are amazing! 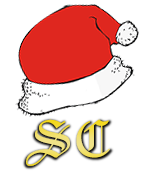 Our new products have the same superior quality required to carry our SantaSCents name and logo. We hope you enjoy the benefits of the products as much as our family enjoys the adventure of designing and producing them in Minnesota. Our signature SantaSCents fragrances are designed to take the Santa and Mrs. Claus magical experience to a whole new authentic level. Feedback and little stories from our customers have been heart warming over the years. 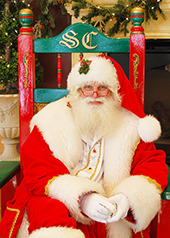 Children and adults notice the Christmas scents when visiting with Santa and Mrs. Claus. We continue to enjoy and cherish our long time clients and welcome new clients to try our scents! 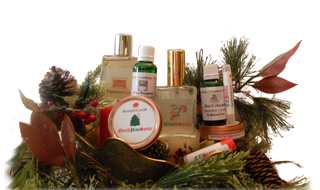 Our signature SantaScents fragrances are created to bring out the Santa and Mrs. Claus in you. Beard Elixir is a leave in conditioner that tames and makes your beard healthy, stronger and glisten as well as smelling great! Beard Balm is conditioning solid butters and oils mixed along with a light bees wax to hold your beard in place after styling and shaping. All natural ingredients chosen to hydrate your lips. Give your lips the treat they deserve! Santa’s beard and hair are vital to his personae, as well as Mrs. C. Using the proper brush and combs are necessary to keep your beard, mustache, and hair looking great and preventing breakage. You can take these convenient tubes with you for touch-ups wherever you go, keeping your stache looking great. Hand sanitizer is a “must have” product we can carry in our bags to use “on set” in malls or right before we head into a daycare, community event or private family visit. Shipping is based the accumulative price of items ordered. This will be calculated by your shopping cart for you. Additional shipping charges will be added for orders outside the United States. A PayPal invoice will be sent for the additional cost. Orders paid by check will be shipped when check is processed. Orders paid by credit card via Pay Pal will be shipped when Pay Pal notification process is complete.